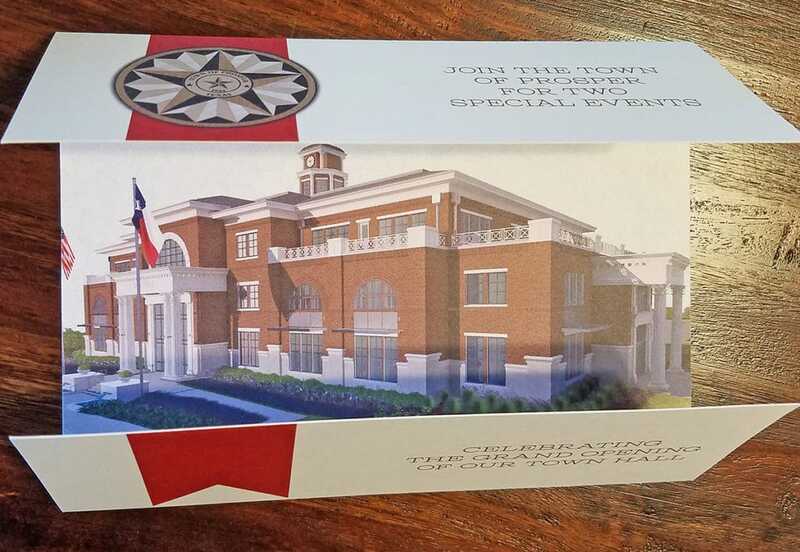 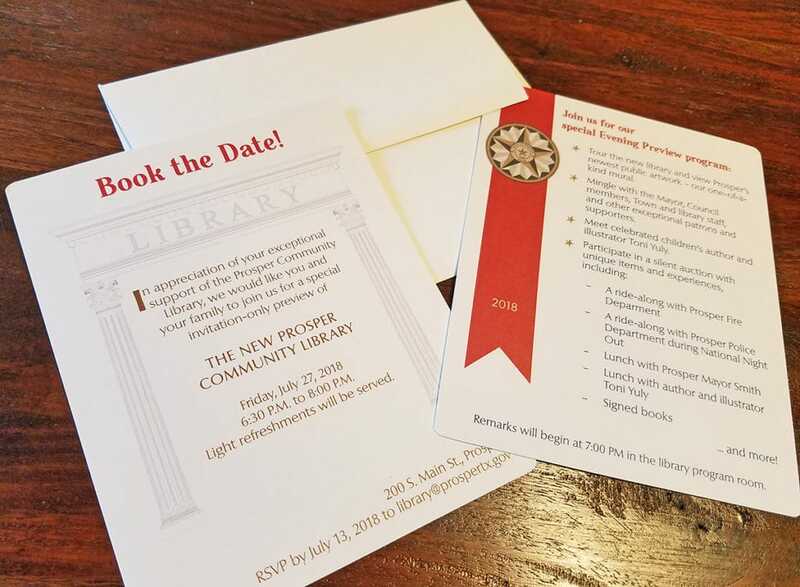 This suite of invitations celebrates the historic grand opening of the Town of Prosper’s new town hall. 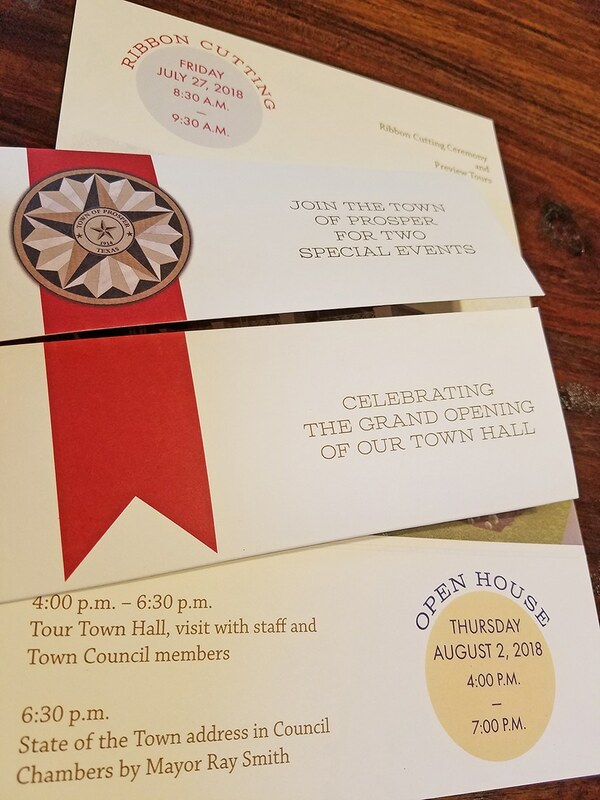 These pieces were printed on natural card stock. 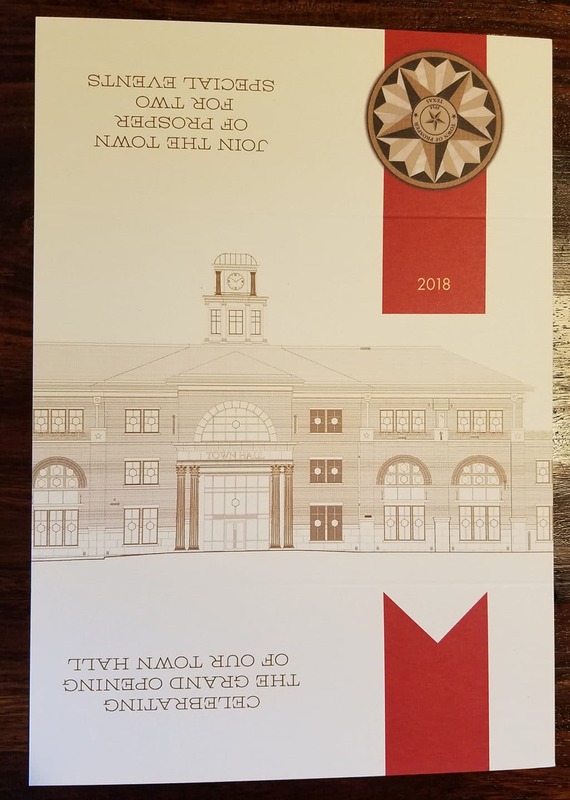 The larger invitation is gate-folded and printed on the front and back.